A variety of stylish belts from Arcade. Help your pants bless up with the Jessup. Comfortable stretch fit belt designed to be used & abused. 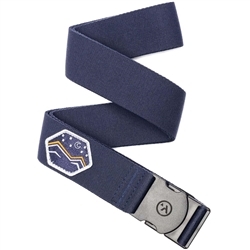 Stretch fit belt for comfort that's out of this world. New and improved version of the adventurous classic. Water resistant belt with a 4-way stretch pattern. Braided belt that perfectly fuses comfort, style, and performance.